NEWSFLASH! 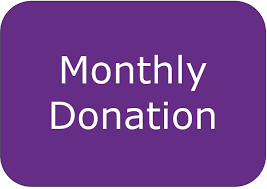 MONTHLY DONATION OPTION NOW AVAILABLE ON OUR WEBSITE – One of the biggest challenges for Iris House is that ALL our services our FREE. Most NPO’s providing a service do so for a nominal fee so have some revenue stream. We decided at the formation of Iris House we would not place any more strain on our already overburdened families by charging them for our community or hospice-based respite care, and we will NOT go back on this decision. We have instead worked very hard on growing our events and fundraising calendar, always coming up with new ideas and improving on events to ensure we can sustain ourselves. Our grant from the Department of Social Development covers only the very basic cost of our service; it also does not take into account our steadily growing families. Cash flow is essential to ensure we can continue and expand our services without interruption. We have therefore set up an online platform powered by Payfast which allows our supporters to set up a recurring monthly donation to Iris House. The process is all online, secure and allows you to cancel at any time. We encourage our supporters to select a monthly option that suits their budget and to spread the word to their friends. Having a stable monthly income would mean that Iris House would be able to cover some of our running cost and place less strain on our fundraising calendar. Thank you as always for supporting Iris House and the wonderful children we care for.